Riding on all-rounder Hardik Pandya's furious 78-run knock, Virat Kohli-led team India has registered a comfortable five-wicket win over Australia in the third ODI to grab the number one spot at the Holkar Stadium in Indore on 24th September. 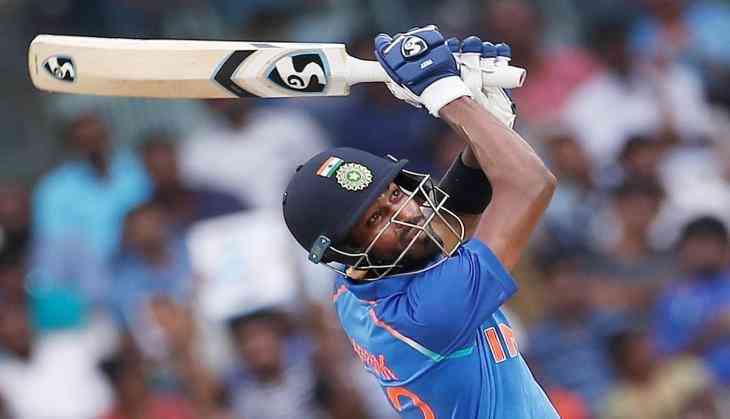 Openers Rohit Sharma (71) and Ajikya Rahane (70) set the platform for the win with their 131-run partnership while Pandya steered the side to victory with his crucial knock, which came off 72 balls. Cummins ended Rahane's innings by trapping him LBW to bring two new batsmen -- skipper Kohli and Pandya -- on the crease.